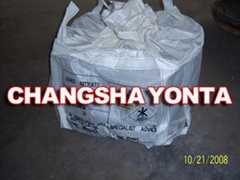 Changsha Yonta Industry Co., Ltd., as a Leading and Professional Wholesaler / Exporter for Chemical Raw Materials in Hunan Province of China, is specialized in Chlorate, Perchlorate, Nitrate and Permanganate Salts for two decades. include but not limited to those series of products : 1). 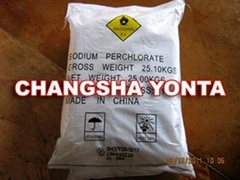 Potassium Chlorate, Sodium Chlorate, Barium Chlorate 2). 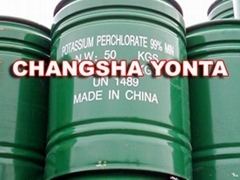 Sodium Perchlorate, Potassium Perchlorate, Ammonium Perchlorate 3). Potassium Nitrate, Barium Nitrate, Lead Nitrate 4). Potassium Permanganate, Sodium Permanganate, Chlorine Dioxide 5). Sodium Silicofluoride, Magnesium Silicofluoride 6). 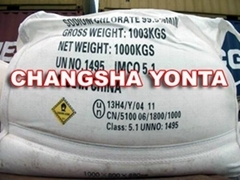 Red Phosphorus, Fomic Acid, Sodium Bicarbonate, Sodium Metabisulphite and Etc.